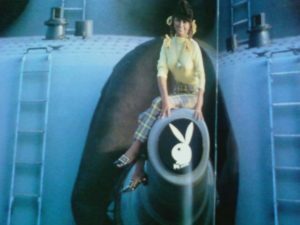 Can you do a better job designing a battleship than the men who designed USS New Jersey? Recommended for grades 6-12, look at the various parts that go into building a massive warship and examine the 3 primary components of a battleship: massive propulsion, impenetrable armor, and unrivaled firepower. Use this knowledge and mathematics to design your own battleship factoring in the problems that the designers of real ships faced. Electricity powers our lives but do you know how it works? 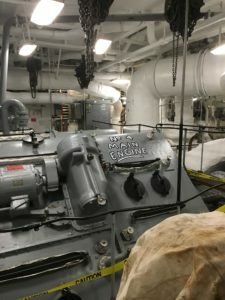 Recommended for grades 4-8, this program consists of a tour of the ship including the ship’s previously off-limits engine room. This program contains 3 hands-on programs: make homemade batteries, creating circuits, and experimenting with how electricity can make a ship waste away in front of your eyes. The ship is a maze, can you find your way out? 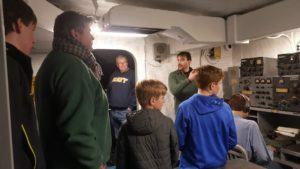 Recommended for grades 2-5, this program is intended for younger sailors and includes a tour of the ship, including spaces not normally on the tour route, as well as three hands-on components. Learn how to read blueprints of the ship to find out where you are on board, read a world map to look at where the ship went over the course of its five-decade career, and read charts to examine the local waterways the ship traveled while discussing hazards the crew needed to avoid. Have you ever wondered what it’s like to be a sailor? Recommended for grades 1-5, this tour visits crew spaces from berthing, where you can try to fit in a sailor’s bed to the post office, to the ship’s hospital. Maybe your battle station will be in the combat engagement center firing missiles, or maybe it will be on a repair party saving the ship from flooding. This tour has 2 hands-on components allowing participants to learn how ships float and compete in keeping their own designs afloat as well as a program on the role of Damage Control aboard. In December 1944 New Jersey faced an opponent just as deadly as the Axis but far more difficult to fight, Typhoon Cobra, which sunk three ships in her task force and damaged many more. 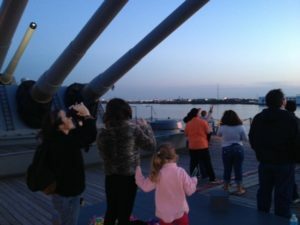 Recommended for Grades 7-12, this program consists of a visit to the Bridge, 54 feet above the waterline, where waves broke overhead, the Expansion Joint, which allowed the ship to twist and flex and sea threw her around, and the ship’s boats used to rescue sailors washed overboard. Learn how to use damage control techniques to stop flooding, use a barometer to predict the weather, and experiment with buoyancy to see how much weight a ship can take before it starts to sink. This program culminates in an analysis of interviews with sailors who survived the typhoon, including future President Gerald Ford, and looks at how other ships experienced the same event.